The Fundació presents a new selection of works by Antoni Tàpies from the Collection. 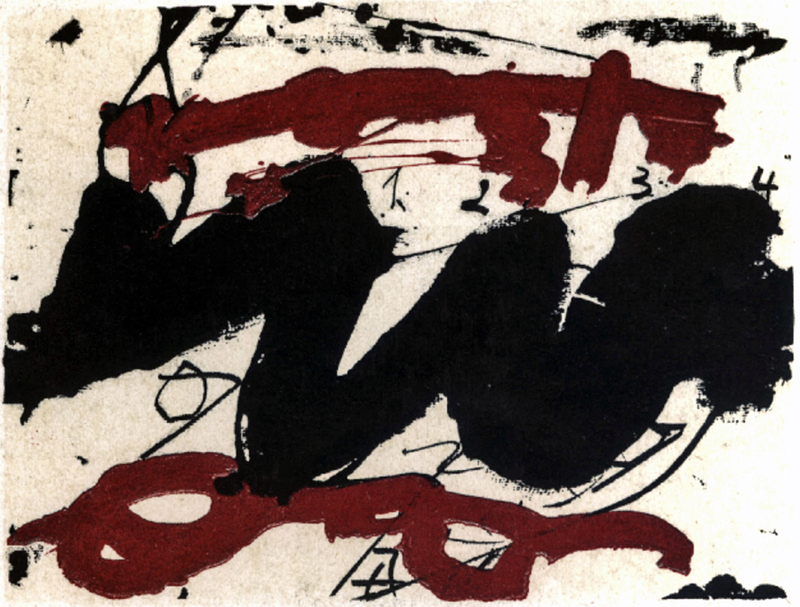 The show, which this time focuses on Spaces A and D, includes various creative moments in the artist’s career from the 1940s to the present decade, and illustrates the evolution of typologies, techniques and materials used by Tàpies. In Space A, the itinerary begins with a selection of works from the two-year period 1946–47, which highlights an early interest in extra-pictorial materials, an interest that becomes the hallmark of his mature production and can be seen in later works such as Earth and paint(1956), Matter with Lateral Papers (1963) and Book-Wall (1990), among others. The exhibition also features a selection of works that incorporate the object (such as Mettal Shutter and Violin, made for the window display of the Gales shop over Christmas 1956), and bronze sculptures (such as Drum and Pitcher and Boot, both 1987). Furthermore, you can see works from the 1990s and 2000s displaying several recurring themes, including an interest in matter, everyday objects and writing. The exhibition incorporates a selection of prints made during the period 1959–87 (Space D). The itinerary finishes with a screening of the documentary Tàpies(1990) by Gregory Rood, produced by the BBC–TVE Catalunya, which is projected in the Fundació Auditorium (Space C).